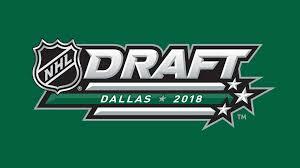 With the 2017-18 NHL season beginning it is time for my initial 2018 NHL Draft rankings. The Ivan Hlinka opened up the scouting season and most of the leagues are under way giving us some viewings and games to report on. It is well documented this is a strong draft and particularly heavy with impact defenseman. There is also a strong international flavour in this draft with only three Canadiens in my top ten. This ranking is not a fantasy based ranking as I reserve that for the Consensus Fantasy Ranking the Draft article in which I include several DobberProspects writers and outside writers’ opinions. The premium in the NHL on number one franchise defensemen means the only way to acquire one is via the draft. The recent history of defensemen being drafted number one is not encouraging, but Dahlin is such a special player I don’t see any teams passing on him for a winger. Dahlin is the whole package, size, skating, sound in his own end and can create transition offence. Dahlin has the makings of a franchise defenseman. After dominating the USHL, Svechnikov takes his skill to the OHL where he will look to dominate a higher level of hockey. The most skilled forward in the draft and arguably the best fantasy option, Svechnikov likely plays in the NHL as soon as next year. A dominant Hlinka tournament where he posted eight points in five games (remember he is a defenseman) locked him in as a top five prospect. He lacks the size of his countryman Dahlin, but there is no questioning his skill and as one of the youngest players in the draft, the upside potential is huge. You know what you can expect from a Tkachuk; he initiates physical play, is dirty and makes no apologies for it. Combine his nasty with his size and hands and you have a prototypical Tkachuk. Zadina has been on my 2018 draft radar for years as he has been dominating internationally for the Czech Republic for years now. Zadina has size, skill and can skate. He has been dominating in his draft year in North America with Halifax early with three goals and eight points in five games. A fantasy must own defenseman, Hughes may be undersized at 5-10 but his skating and offensive skills are exceptional. A late birthday he will be one of the older players in the draft and as a U. of Michigan commit he could be in the NHL as soon as next year as a one and done. Look for his brother Jack Hughes to be a top player in the 2019 draft as well. First player to get exceptional status in the history of the QMJHL will play a much larger role in Saint John this year after they graduated several players after last year’s Championship run. This will be a high pressure year and so far so good, he Captained Canada to a Hlinka Gold posting seven points in five games and was named Captain of the Sea Dogs. Smith is compiling an impressive list of credentials, picked first overall in the 2015 WHL draft, he posted 32 points in 62 games as a rookie defenseman last year, and was an Alternate Captain with Canada winning Gold at the Hlinka to start his draft season. Smith is off to a hot start with two goals and eight points in the first four games this year. Teams will be heading into the 2018 draft looking for two components, speed and skill and size be damned. Kupari had a great Hlinka to start his season with seven points in four games and is playing pro hockey in the Liiga as a 17-year-old. Halifax had the first and second overall picks in the 2016 draft and picked Groulx and McIsaac at one and two. McIsaac is the whole package; he has good size, skates well and posted 32 points in 59 games as a rookie defenseman in the Q winning the QMJHL Defensive Rookie of the year award. Wilde has size, is a right shot and plays a solid two-way game. Headed to U. of Michigan in his post draft year his value in fantasy isn’t as high as it is in real life. Younger brother of New Jersey Devils prospect Michael, the McLeods both play in Mississauga, and like his brother, Ryan is a strong skater and offensive player. Outside of Dahlin, Merkley may be the most offensive defenseman in the draft class. His size 5-11, 170 pounds is a knock against him as is his defensive play. But the NHL is all about speed, skating and skill on the backend these days and that is exactly what Merkley can do. Playing his draft year in the OJHL rather than with Barrie Colts who drafted him 20th overall in 2016 may have hurt him in the past, but he is heading to Boston College next year and the Terriers have a tremendous track record of developing NHL players. Ultimately this path may allow him access to the NHL faster than if he had to play out his four years of junior. An undersized but highly skilled winger, Farabee is a good skater, has good puck skills and vision with a good shot release. Wahlstrom has been on the 2018 draft radar since as a nine year old he scored a YouTube sensation goal in Boston at a Bruins intermission event. Now he is committed to play in Boston in his post draft year with Harvard. He is a dynamic offensive player. The player with the coolest name in the draft is the Son of Larry Woo who played Park Kim in the movie Goon is named after actor Jet Li. If the hockey Gods exist, they will see the Winnipeg native being drafted by the Jets. Picked first overall in the 2016 QMJHL draft, the son of Coach Benoit Groulx posted 31 points as a rookie in 62 games and Captained Canada at the U17. A key player in the Anthony Cirelli trade McShane is off to a hot start with seven points in the first two games McShane could be a draft riser this year. Niagara’s 12th overall pick in 2016 posted 21 goals and 48 points in his rookie season. He won Gold with Canada at the Hlinka contributing six points in five games and was named as an Alternate Captain in his second OHL season and draft year. The 17-year-old Fin has size at 6-2, can skate well and is offensively talented. He had a solid Hlinka to start his draft year posting four points in four games. He has carried that momentum early in his rookie year playing pro hockey in the Liiga with seven points in his first nine games. Watch for Kotkaniemi to be a draft riser as the year evolves. Another late birthday, Lundestrom is now in his second full year playing pro hockey against men in the SHL. While his stats don’t jump out he had a strong performance with Sweden in last years U-18. He has hands, skates well and is versatile. If Olli Juolevi goes back to Finland and Victor Mete makes the NHL, Bouchard will inherit the number one role on the Knights blueline. 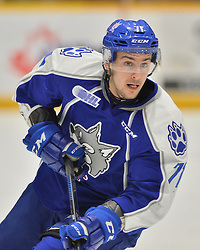 Bouchard has size, can skate and as a late birthday he already has two full and impressive OHL seasons under his belt. An underrated player who could benefit from the spotlight in London. Son of former NHL defenseman Kjell, Mattias is a similar two-way player. Don’t count on the offense to translate to the NHL level and there are some skating concerns, but a smart player with good size headed to the U. of Michigan. Hayton had a solid rookie season, but a breakout Hlinka Tournament performance of three goals and six points in five games vaults him into the first round early in the season. Selected eighth overall in the CHL Import Draft by Rimouski, I have not seen him play yet but the Draft Analyst describes him as Very sneaky and has an excellent shot/release combination, plus his hands are incredibly soft. Don’t look now but the Swiss are quickly becoming a relevant hockey nation, and Eggenberger is the latest top prospect to come from Switzerland. Eggenberger has been very impressive in international play including last years WJC playing as a 16-year-old. Named an Alternate Captain in his second year Dellandrea has size, is a sound skater, and plays defensively and physically. Just needs to continue to develop his offensive game. A physically imposing presence at 6-5, Noel is far more than just a bruiser. Noel has shown good early chemistry with line mate and fellow draft eligible prospect Allan McShane. The pair should enjoy a breakout season and lead the Generals back into contention. The Israel native is one of the oldest players in the draft having missed the 2017 raft by a day. Despite playing for a woeful Sudbury team the two year OHL vet has still managed to produce points. The Russian born has been playing in Canada for the past three years and was a highly coveted prospect in the OHL draft. In Barrie he has the perfect landing spot alongside fellow countrymen Andrei Svechnikov and Alexi Lipanov for what promises to be an exciting draft year.